These have such a nice mix of colors! 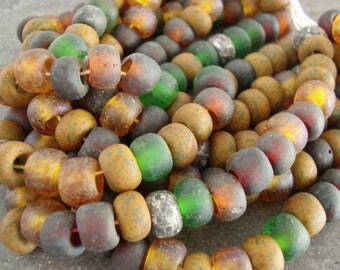 Size of the beads vary slightly - they are not a precise cut and match. 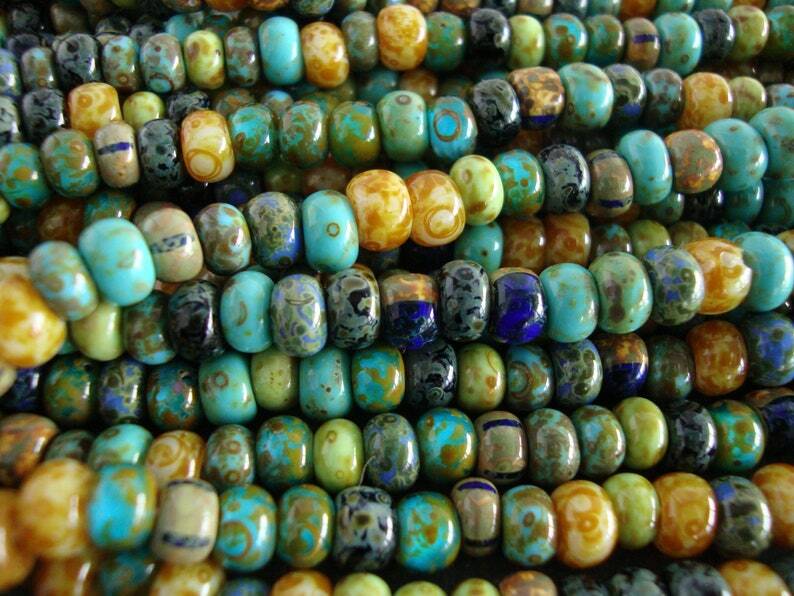 Color: Mix of shades of aqua, jade, blues, beige, silver and gold. Each strand comes with a unique assortment of beads.